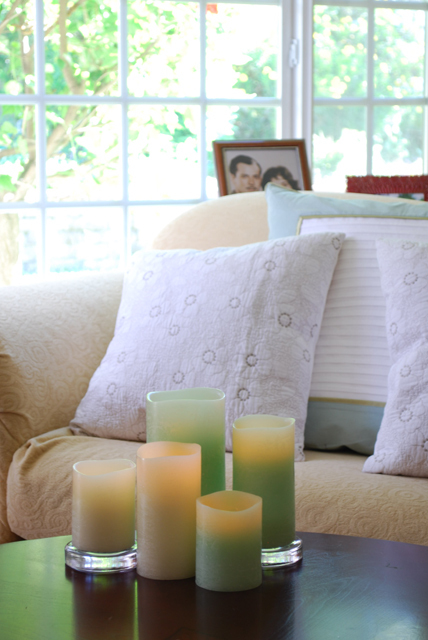 Enjoy Lighting is the home of the first and most lifelike flameless candle. With Enjoy Lighting Flameless Candles, you can enjoy the warm atmosphere and ambiance of candlelight without the unwanted fire risks or replacement costs. 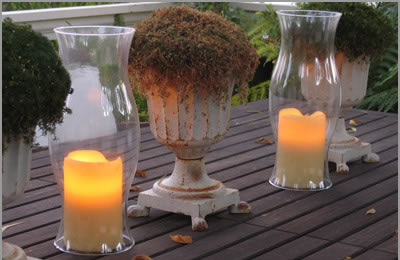 I have always had an affinity for the soft glow of candle light! After we had our children, I shied away from candles because of the dangers they can pose with little one's running around, however I've found the perfect replacement! Enjoy Lighting carries the most realistic looking candles with a realistic flicker, and they're even available in a variety of scents. I was excited to see that the flame had such a real appearance and I'm really enjoying the light Honeysuckle and Vanilla scents to the Pillars that I received. I placed one our TV stand (which I normally wouldn't be able to do if this was a real flame candle) and another in a glass hurricane on our entry table. The timer feature is so convenient, and allows me to leave the candle on and it shuts itself off after we've gone to sleep. I'm thoroughly impressed with the realistic appearance and I love that I can place them virtually anywhere without worry. Enjoy Lighting Candles are now one of my absolute favorite things! 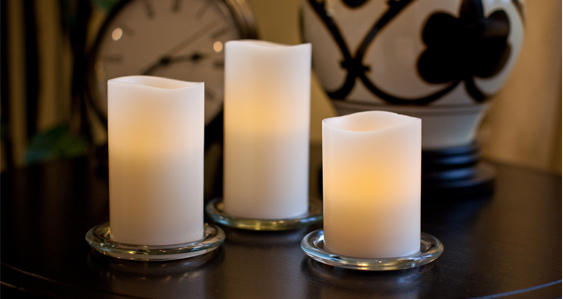 Enjoy Lighting Candles are a must have for candle lover's with kiddo's! To find more information on Enjoy Lighting Candles and to find a Retailer Near You Visit Enjoy Lighting's Website.